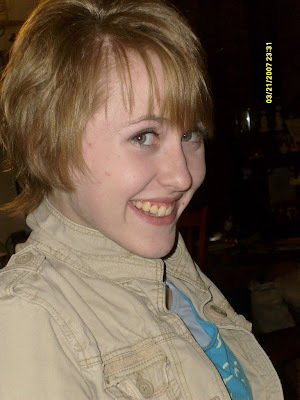 Treb's Blog Stop: HAPPY BIRTHDAY!!! I did not want the day to go by without having the chance to wish you a happy birthday! I am so proud of you! You are becoming such a beautiful young woman, and an exceptional person. You are a great sister, wonderful daughter to your parents, and a fantastic niece! Sorry you have to share billing with my dog, but you do share a birthday with Ari, and hey he's 112 (in dog years). 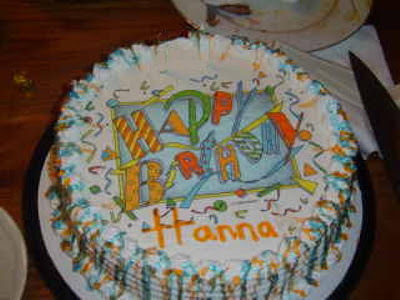 Hanna you were sweet when you wished me a happy birthday on your blog, so I thought I would return the sentiment. Aunt Patti and I are so proud of you and what you have become, as we are with all of our nieces and nephews. We look on all of you with pride and see a bright future for you all. God bless you on your special day, and always. of peace and tranquility to every life they touch. They are always who they really are. loved and treasured by all who know them. Happy Birthday Hanna and Ari!